“Is this the place to build an antenna farm and howl CQ DX until you’re blue in the face? 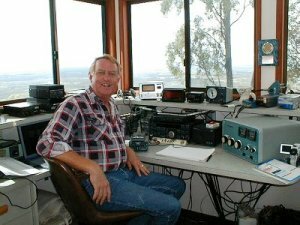 If you’re hunting for a premium ham rental shack in the southern hemisphere then dx adventurists need look no further than the residence of VK4HF in the hills of south east Queensland on Australia’s eastern coast. 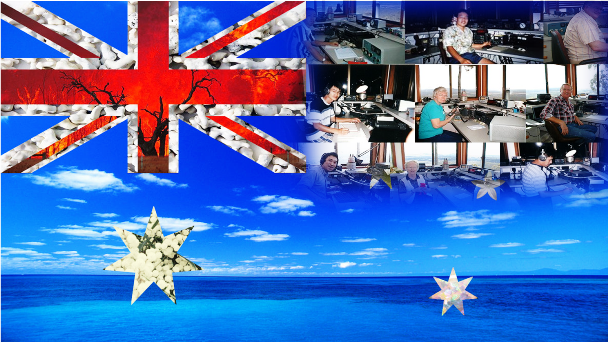 For successful participation in some of the hobby’s best known contests on ham bands,this rental shack is all you could ever desire; One that’s guaranteed to leave you in the top echelon of DXers in any contest category and have you feeling on top of the world! Rick and Julie Rodgers live on 20 acres of picturesque countryside on the end of a mountain spur, 50 kilometres north of Brisbane, Queensland’s capital city. They have a spectacular uninterrupted view of about 240 degrees stretching out past the Pacific Ocean shores to about 80 kilometres and are more than happy to share it with fellow radio comms enthusiasts. 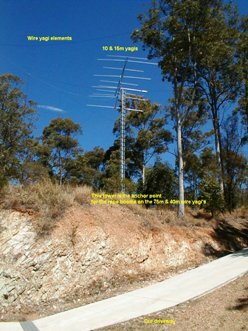 The VK4HF shack itself is at 1000 feet above sea level and no neighbours are visible to the naked eye. 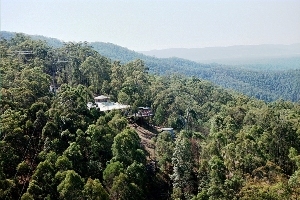 In fact, the neighbouring properties are all farms with their fair share of natural forest. While information about the accommodation itself is sketchy, one would sleep on the floor in a sleeping bag if they had the opportunity to use an antenna array such as this. Why not email Rick and Julie and find out about it!?!?!? 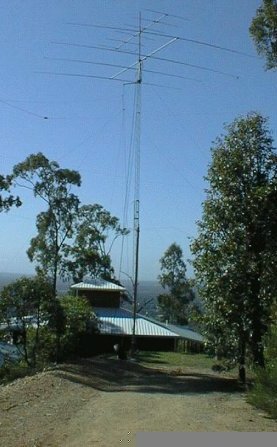 Station: Tower No1 – 50 foot tilt over crank up. Antennas: Hy-Gain 204BA (4 el mono bander 20m) and on top a 6 el monobander for 6m. Tower No. 2 and low band yagis for 40m & 75m. Getting There: You can fly to Brisbane direct from most major city centres in the world. From there you can hire a rental car or catch a taxi. I was wondering if you still rent any place with ham antenna for short term (2 or 3 months) during summer season (from November to March). How much is it? Are the bills included?